As for any suggestion that the initiating tip message itself should be limited to a dedicated thread, that is as preposterous as saying people cannot give a except in a dedicated thread. I agree with this, but I also think the bot should be changed to eliminate the extra posts. Many people continue to comment about the spam aspect of the bot (which I am sympathetic towards), but fail to acknowledge that point has been discussed ad nauseum. Let's just agree that aspect will be dealt with and move on to how. Freebieservers suggested the info currently provided in a separate post could be added to the signature area as a tooltip / hover help. Another suggestion is to move it to PMs. I like the signature option myself, as it also preserves the context within which the tip is provided. I'm sure there are other ways this info can be presented that won't spam the threads, at least no more than "bump", or ^^^THIS etc. I presume it's fairly easy to update the SMF DB to add a footer or other markup to a msg with the tipbot info. If you have suggestions for improvements offer them up here. But don't complain about spam b/c that issue (not the specific way it will be fixed) has been acknowledged as needed fixing. It has so many possibilities, the only misses it can have is the messages which will be fixed I am sure of it. But how many of you guys have seen a little bit further than their own nose? It is in testing right now, yeah it has some flaws... But tomorrow? Are we working in the same direction? All of us? Cause I personally can see SO MUCH opportunities marketing wise to this project, as well as a community gatherer movement!!!! You have my full support for this project, it is a really a great idea IMO. This is a great project [member=602]fuzzy[/member]! I was just planning to test this out on the forums with some UIA's. I think we should continue to experiment openly with tipping & sharing with social currency, Smartcoins and asset-backed UIA's. I think what [member=32130]Freebieservers[/member] said about the business side is very good and tweaking how it works is just part of product development. Having it delivered via PM is good, but you also want to allow people to discover it so you can maintain the viral component of the system. Maybe just have some indicator on the upper right of the post that show the UIA tips... just like karma points on reddit. Just a thought. Plugin development is a tedious process for smf. Interesting. I brought up this very thing today, since I've seen several discussions about the forum software. I figured if we're wanting to switch software, let's go ahead and take more Community control of the administration of the forum as well. I'm open to ideas and willing to contribute what I can to get that done. Meanwhile, we're still sitting on our asses with a white paper that suggested radical changes to governance and socialising amidst forum members from six months back -_-. 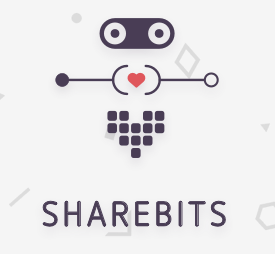 innovation and a willingness to take risks to change the world is what will make bitshares huge. i guess the only positive i can find in this is that if bitshares doesnt do it, ethereum or another project will. 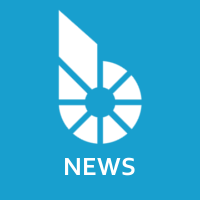 Of course that isnt going to do too much to help bitshares marketcap and wont get our community wealthy enough to continue building the new world's systems with a philosophy of freedom. fuzzy, you need some humble entrepreneurial spirit! This is meant as a constructive criticism, please don't take it as a personal attack. Be humble: You can't blame others if they just don't get your ideas. I've seen this same thing many, many times. Somebody gets cool idea, but after a while gets bitter and discouraged because nobody else doesn't understand how cool it is. Usually it will take lot of time that ideas get understood in a large crowd. You just have to work for it. But you can't be too active, because that will be recieved as spamming and/or forcing it down others' throats. People don't like spamming so there is a big risk that they will turn hostile if they experience something that feels even a little bit spammy. Be entrepreneurial: You just have to keep iterating. If people don't get interested in it, then you have to find out how to change the product so that potential users start to like it. This process needs lots of trial and error. My personal opinion on the tipbot as it is now: I don't see any big advantages when compared to competitors like Dogecoin and Changetip. It's just a copy of other tipbots. I suspect that nobody so far have been able to find a solution to tipping/micropayments that will really get some meaningful traction. The solution might have to be a totally new concept that's not invented yet. I don't see any big advantages when compared to competitors like Dogecoin and Changetip. fuzzy might be forced to post at least 15 post, because this is more or less a personal attack on him [do not ask why or how] . Let's look at it. I am all up for conversation about that. What i'm not up for is someone running a biased poll based on lies (that the bot is out of open beta) that speaks nothing to the merits and only focuses on the negatives. I am definitely pissed about that because [member=31]fav[/member] lied and refuses to admit it. Instead he tries to play it off as me being "emotional" and having nothing to do with A) his absolute incompetence at forming proper polls and B) his unwillingness to apologize for this obvious screw up (attack?). people are not idiots fav...they see it. I promise you that ...so you made that bed. I'm against a bot in its current form.